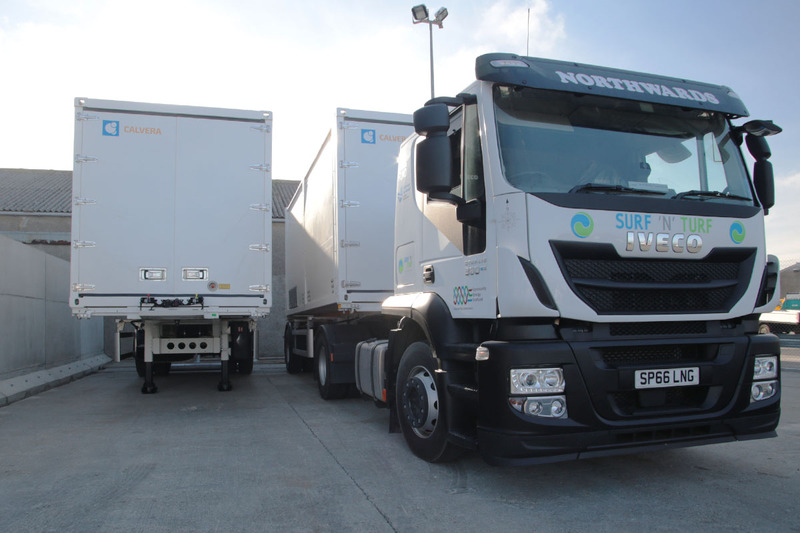 Two of the three specialist trailers that will move hydrogen gas from Eday to Kirkwall have arrived in Orkney and parked up at their routine home, the compound on Kirkwall Pier. They were built in Zaragoza, northern Spain, by Calvera Maquinaria to a design that takes into account the needs of travelling on Eday's roads and the inter-island ferries. Conventional trailers are made of steel, but that makes them too heavy to use on Eday. Calvera's design holds the hydrogen gas in vessels made of aluminium and carbon fibre, so the trailer is lighter while still holding 250kg of the gas. The third trailer is finishing manufacture and testing. It will travel to Orkney in April.